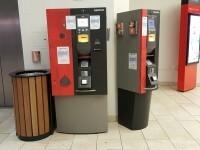 Resorts World Birmingham is located within the NEC Complex to the east of Birmingham, just 5 minutes from the M42 Junction 6, and the A45. From the M42 and A45 please follow the signs towards the NEC. 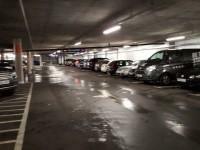 There are 2 car parks available for Resorts World Birmingham: Multi-storey Car Park and Car Park South 2 Overflow Parking. 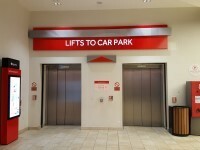 The Multi-storey Car Park is located at the rear of Resorts World Birmingham. 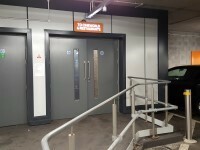 The entrance is located on South Car Park Road, off Pendigo Way. 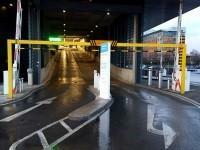 For directions to Resorts World Birmingham Multi-storey Car Park please use the postcode: B40 1NT. 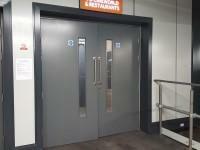 The nearest bus stop is Birmingham International Station, approximately 950m from the venue. For more information on buses in the West Midlands please click here (opens new tab). The nearest Railway Station is Birmingham International. 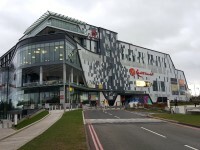 Resorts World Birmingham is approximately a 11 minute (0.5 miles) walk from Birmingham International station which connects you to all major cities in the UK. 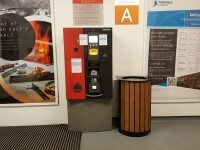 There is an assistance dog toilet or toileting area at the venue/nearby. The assistance dog toilet or toileting area is located on the grass areas surrounding the venue. 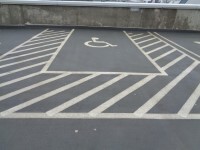 The mobility aids available include wheelchairs and mobility scooter. 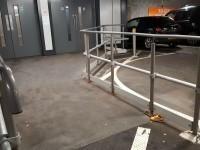 To obtain mobility aids please contact the guest services team. 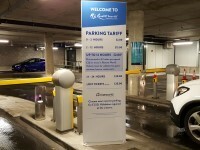 All mobility aids are available at the guest services desk, located on the ground floor of the building. 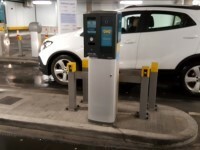 The maximum height of the restriction barrier is 210cm (6ft 11in). 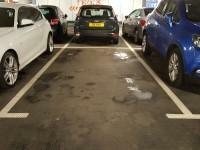 The dimensions of the designated Blue Badge parking bay(s) surveyed are 370cm x 610cm (12ft 2in x 20ft). 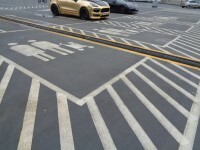 Clearly marked/signposted parent and child parking bays are available. 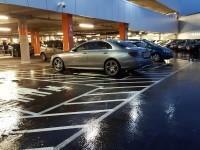 There is also an overflow car park for visitors. 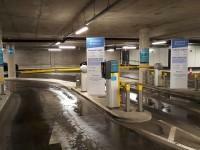 Additional parking is available in the overflow car park in Car Park South 2. 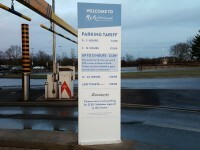 Payment signs are located at the entrance to the car park, at the payment machines in the car park and at the payment machines in the building. 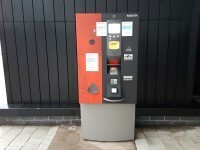 Payment machines are located in the lift lobby of the car park, inside the building, and at the entrance to the car park. 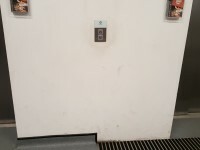 You are on Exit (Shops Exit). Skip to the next section. 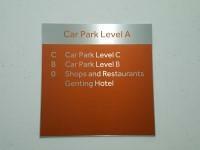 This information is for the exit located towards the rear of the car park, close to Resorts World. 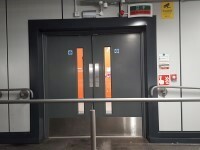 The exit area/door is clearly signed internally. 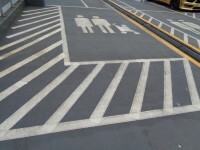 The ramp/slope is located to the left and right of the exit. The lighting levels at the ramp/slope are good. 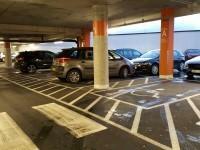 There are similar exits on Car Park Level B, and Car Park Level C.
You are on Exit (Cineworld and Restaurants Exit). Skip to the next section. 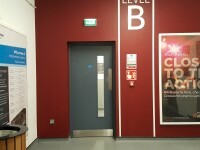 This information is for the exit located at the rear of the car park on Level A, leading into the first floor of Resorts World Birmingham. 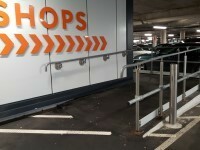 The ramp/slope is located in front of the exit. 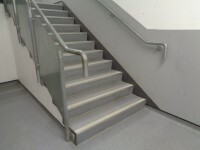 The stairs are located in the shops exit area. 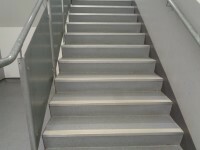 The stairs are approximately 5m from the shops exit. 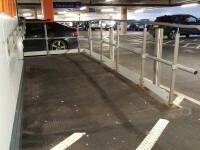 The floors which are accessible by stairs are Resorts World Birmingham Ground Floor (0), Car Park Level A, Car Park Level B and Car Park Level C.
The stairs are clearly signed in the building. 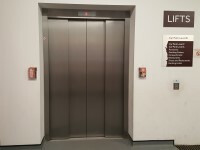 The lift is located in the shops exit area. 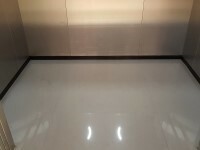 The lift is approximately 3m (3yd 10in) from the shops exit. 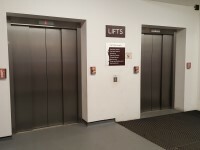 The floors which are accessible by this lift are Resorts World Birmingham Ground Floor (0), Car Park Level A, Car Park Level B and Car Park Level C.
The clear door width is 130cm (4ft 3in). 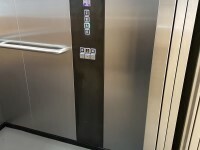 The lifts are clearly signed within the building. 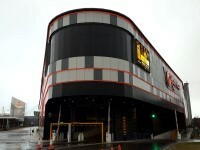 You are on Route from Car Park to Resorts World Birmingham. Skip to the next section. 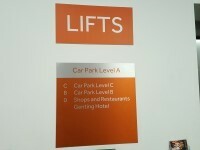 There are 2 exits from the car park on Car Park Level A. 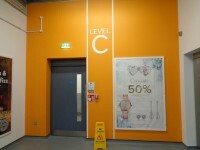 There is 1 exit from the car park on Car Park Level B and Car Park Level C.
The shops exit on Car Park Level A is shown in photograph 1. 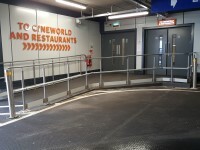 The Cineworld and Restaurants exit is shown in photograph 2. 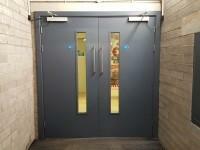 There are similar doors at all exits. 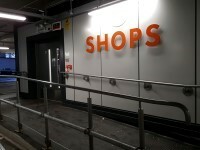 There is a lift at the shops exit (shown in photograph 3). 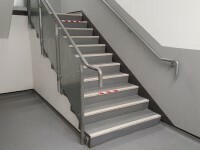 There are stairs at the shops exits (shown in photograph 4). There is step free access by using the lift throughout the car park. 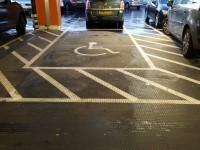 You are on Resorts World Birmingham. Skip to the next section. 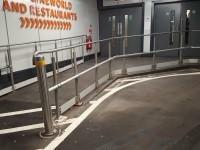 For more information about Resorts World Birmingham - Toilet Facilities please click here (opens in new tab).